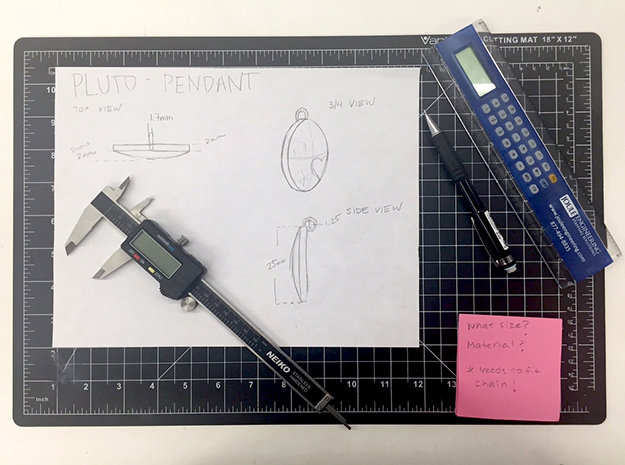 This tutorial is part of the "Shapeways University" series based on the model of a Pluto Pendant made by Community Manager, Kat Kinkead. She walks through her process, beginning with how to plan for 3D printing. She then compares plastic prototypes and final metal pendants. In this tutorial, Kat walks viewers through how she modeled the pendant in Rhino, and then mapped Pluto photos using ZBrush.